Our car keys are one of the most advanced keys we will ever own. Unlike the keys to our home or our place of work, they serve a number of functions in a single unit. A car key is often capable of unlocking any door of our car, including the back door, while at times also serving as a coded transponder key, with a built in unlocking mechanism. It is also the one thing we must insert into the ignition switch of our car if we wish to get going. We demand a lot from this one simple device, and that is why we need to have it operating at all times. What to do When You Have a Broken Ignition Key? If you encounter a problem with your ignition key, or have it break within the switch itself, the most important thing to note is not to use any force or attempt to fix the problem by yourself. While the key might be salvageable, not using the right tools might render it completely unusable and even create further damage to the ignition switch itself. Five Star Towing provides a quick service to fix any car key problem you may be facing, repairing keys, replacing them, and extracting broken ignition keys on the spot. We make sure that you do not have to deal with extracting a key from its switch in order to ensure that no residue or pieces of metal get stuck inside. When you call Five Star Towing Long Beach, a certified car locksmith will be on his way to you, whether at your home, your workplace, or at the road. 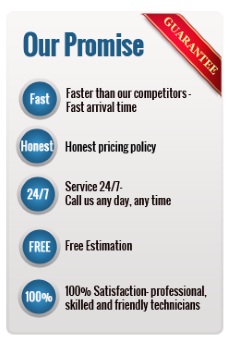 We guarantee that you will be provided a great locksmith service at any time, day or night. Call Long Beach Towing (562) 257 – 3865.